I will be honest. Creating the nursery was the only thing I had any interest in doing when I was pregnant. Once it was all set up, my girls knew and I went into labor (a little earlier than expected). 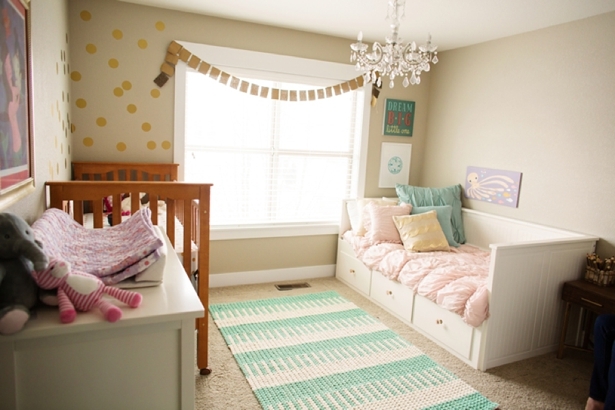 This Colorado Mom, Christina, created the most darling whimsical room for her daughter Magnolia. Check out Magnolia's newborn portraits here. Photography by LISTmember: Z Noelle Photography Notes from Colorado Mom, Christina: Describe your nursery theme: I wanted Magnolia's nursery to be feminine, sweet and soft with a sprinkle of whimsey and an element of fun. Like any girly girl, I love pink, gold and sparkles, but didn't want the room to feel cheesy or too kiddish, so I combined neutral colors like soft white, taupe and shell-pink with pops of sea foam green, coral and lavender, finishing it off with a nice dose of gold! 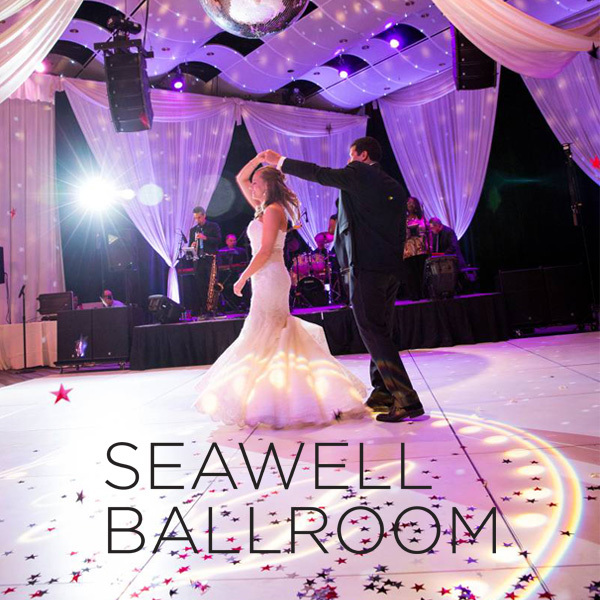 Your favorite decor elements: My favorite elements in this room are the gold polka-dots, the blush pink bedding and the "I love you beyond measure" wall decal. The polka dots are fun and unexpected and Magnolia loves to gaze up at them as a contrast to the wall. The "I love you beyond measure" decal is delicate, feminine and whimsical. It's something that can stay in her room for many years to come! The bedding reminds me of cotton candy- it's fluffy, pink and sweet! Where did you get your decor: I spent almost my whole pregnancy putting Magnolia's nursery together, little piece by little piece. The whole thing is very personal and I wanted to love every element! 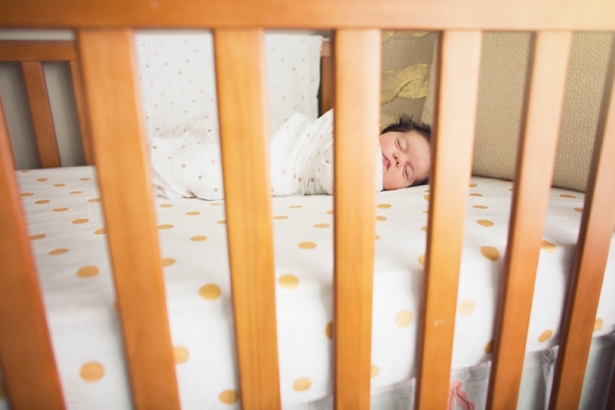 The rug, duvet cover, gold polka-dot crib sheet and wall decals came from land of nod. I jazzed up an Ikea trundle bed with pink glass knobs from Anthropolgie. The octopus painting and the "dream big little one" print came from etsy. 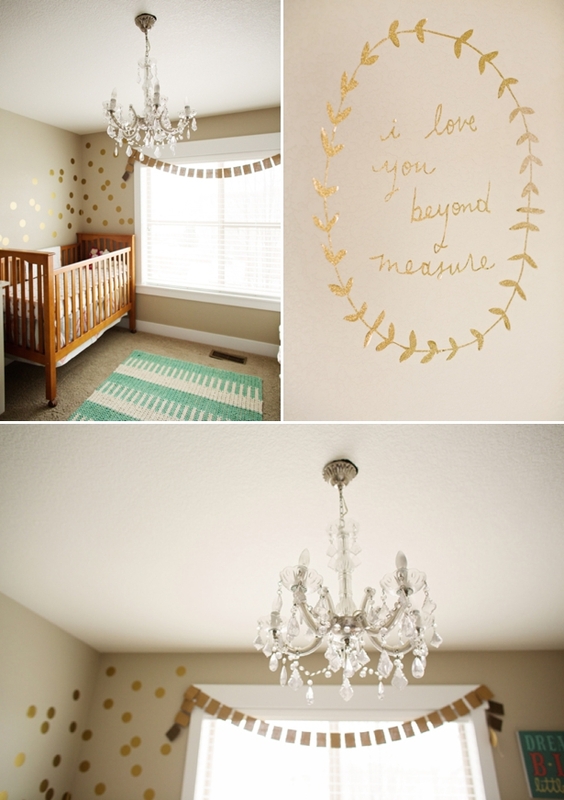 The "I love you beyond measure" wall decal came from artist, Shanna Murray. I spent the the last few years working for an organic skincare company for babies and kids called Episencial (founded by the daughter of the Epicuren creators). Between our partnerships with other brands, trade shows and having 3 kids of my own, I feel like I have a good grasp on the must-haves for the first year! What your first year must-haves? 1. Organic babywash- this is a must-have from day one (I even took a small bottle to the hospital with me for Magnolia's first bath). Baby's skin is 5x thinner than adult skin and all those chemicals can go directly into the bloodstream, so it's important to use pure products on those little guys and gals. 2. Sophie The Giraffe- I have no idea why babies love this, but all three of mine have been crazy about this cute, chewable toy (that looks, feels and sounds very similar to a dog toy!). I love that it is made with natural rubber and food-grade paint. 3. Kidsme Food Feeder- I wanted Magnolia to be able to enjoy all the same fruits and veggies that our family has during meal time. At only 6 months old, she's not ready for chunks of food. This awesome gadget makes trying new fruits and veggies safe and easy. I've seen (and used) the mesh version which doesn't work well and, let's face it, who wants to chew on mesh. The Kidsme is great because it is silicone so it stays clean and Magnolia likes to chew on it! The products you don't need are almost as important as the ones you do. Here are a few that you can keep off your registry: Shoes! Diaper wipe warmer, shopping cart cover and don't even get me started on the baby "spa" bath!